Nike heart rate monitor watches have an excellent reputation for its high quality, durability, great degree of comfort and ease of use. A Nike monitor is everything you would associate with a premium brand name product. Nike monitors are known also for their stylish and attractive design. This, together with the comfortable wrist watch and chest strap, means that these heart rate monitors can be worn like ordinary watches throughout the day. Nike manuals are in general clear and simple and the instructions are easy to understand. You won't have any problem figuring out how to use Nike monitors, that is for sure. Important Note: Unfortunately, most Nike heart rate monitors are obsolete and no longer available for sale. On the rightmost column in the table below, we have suggested appropriate alternative heart rate monitors for you to consider. For example, if you are interested in the Nike C8, you may want to consider Polar RS100 instead. 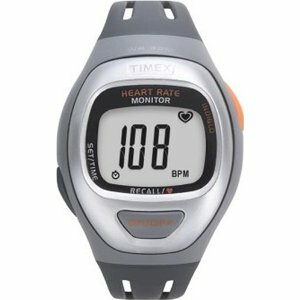 The suggested heart rate monitors are some of the best in their respective categories with generally great user feedback. So take a look at these alternative HRMs. Nike C3 Basic Current heart rate. Nike C5 Basic Manual heart rate training zone. Time in target zone. Nike C6 Basic / Intermediate Manual/Auto heart rate training zone. 4 Training zones. Calorie counter. Time in training zones. Average heart rate over time. Nike C8 Intermediate Manual heart rate training zone. 50 Laps recording. Time in/above/below target zone. Two segment countdown timer. Multiple sessions data. Nike C10 Intermediate Manual heart rate training zone. 100 Laps recording. Time in/above/below target zone. Five segment countdown timer. Multiple sessions data. Digital transmission. Nike CV10 Intermediate Manual heart rate training zone. 100 Laps recording. Time in/above/below target zone. Speed and distance. Multiple sessions data. Digital transmission. 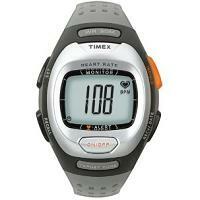 Nike Imara Basic / Intermediate Manual heart rate training zone. Calorie counter. Time in/above/below target zone. Two segment countdown timer. For women with small wrists. Please visit Nike's official web site for more information.